The academic adage “publish or perish” certainly keeps professors busy trying to communicate their research, but how do they measure the real impact of their work? 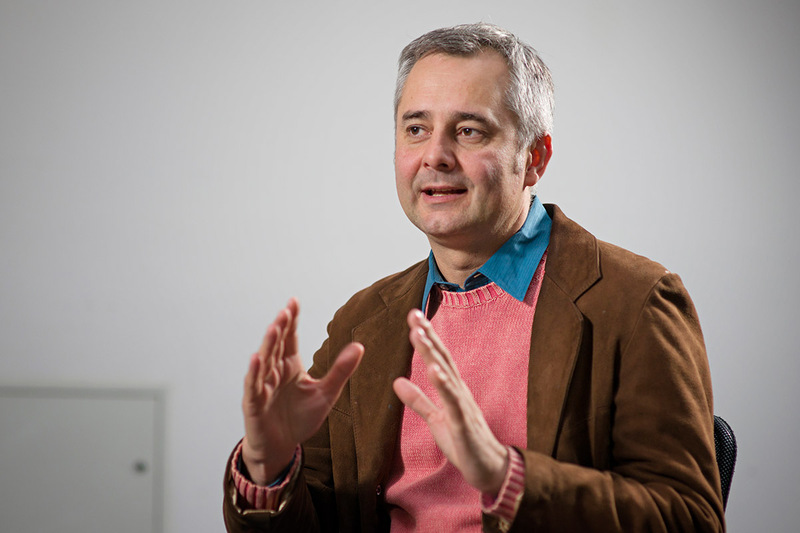 CEU Visiting Professor of Network Science Albert-Laszlo Barabasi sought to quantify the influence of academic papers and subsequent progression of knowledge in a field by creating a predictive tool to determine just how successful an academic paper will be. In October, Barabasi and his co-authors published their paper “Quantifying Long-Term Scientific Impact” in the journal Science. Interestingly, although some journals enjoy more prestige than others, Barabasi and his colleagues found that the journal in which a paper is published has no relevance to the overall impact of a paper. The model that Barabasi and his colleagues created takes into account the number of times a paper is cited in other academic works, “...allowing us to collapse the citation histories of papers from different journals and disciplines into a single curve, indicating that all papers tend to follow the same universal temporal pattern,” the authors wrote. Three parameters characterize a paper in the model: first, in what year the paper gets the most citations; second, the actual decay rate; and, third, what Barabasi and his team call the paper's “fitness,” or how fast it will “jump up” in citations. The first two parameters really matter if you want to determine when the paper's peak will come. The typical path of a paper finds the most citations popping up in the first two to two-and-a-half years and then a slow decay. However, it is only the “fitness” that matters in the long-run (for the whole “life” of the paper). Barabasi and his colleagues have even used the tool to retrace the success of their own papers with accurate results. What initially piqued Barabasi's interest in citation curves was a network science paper that he published in 1999 that did not seem particularly well received within the first few years of its “life” but, with time, was cited more and more. It reached its peak only a decade after its publication, which is, Barabasi said, a rarity. Far from being a popularity measurement, the predictive model could have potential policy implications, particularly in the academic world. Knowing the possible impact of a paper could, for instance, help compare younger professors with older professors who might have published more, hence had more of a track record in the field. For more information on the “Science” paper, see http://iononfaccioniente.wordpress.com/2013/10/04/paper-quantifying-long-term-scientific-impact/?amp;co=f000000009816s-1158206718. For more information about CEU's Center for Network Science, see https://cns.ceu.hu/.